Shares of EMC continue to climb off reports that the data storage company is in talks with personal computer maker Dell on a potential merger. EMC. Shares surged 3% in morning trading as more details surface on the Dell deal. 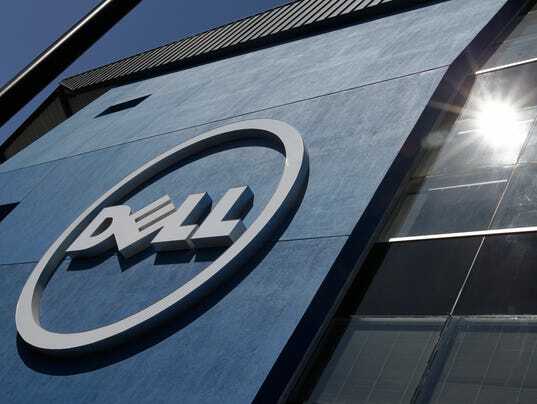 According to CNBC, Dell’s offer for EMC would be worth $27 a share, and require $40 billion in financing to complete. The deal could happen in a week. Dell went private in 2013 following a prolonged battle between co-founder Michael Dell and activist investor Carl Icahn. Etsy. Shares of the handmade craft seller sunk nearly 5% after Amazon launched a competing service to allow artisans to sell their wares. The service called Handmade will launch with more than 80,000 hand-crafted items available for purchase. Sony. The electronics giant is slashing the price of PlayStation 4 in the U.S. to $349.99, just in time for the crucial holiday shopping season. The price cut takes affect on October 9. Google. The tech giant launched a service called Amp they say will allow users to download mobile or tablet content up to 85 times faster. The company will partner with several media publishers and content creators as part of the service. Alibaba. The Chinese retailing giant kicked off its own P.R. campaign to educate about its vision. A new Alibaba Defined web site, called “a comprehensive digital experience,” uses multiple videos and countless images to explore the company’s reach. “Many people confuse us with other e‑commerce retailers and therefore assess our business model solely on the basis of the growth rate of our gross merchandise volume (GMV),” says Alibaba executive chairman Jack Ma in a letter posted on the site. “In fact, this narrow definition of e‑commerce is only a fraction of the Alibaba Group strategy. What we are building is an open, transparent and collaborative infrastructure for commerce.” Alibaba shares in the U.S. have fallen more than 35% since Jan. 1 to $66.40.